USB Security Suite – I am always wondering how far a person could (should) take the security of your laptop or personal computer. The question you should be asking yourself is how sensitive the data is on your PC? I say that you can’t be secure enough. Personally, I wouldn’t want anyone snooping around on my personal computer (or even my work laptop). I also know that viruses are spread via removable drives and thumb drives. This is why I have invested in good antivirus software and I keep my OS up to date with the latest patches and updates. 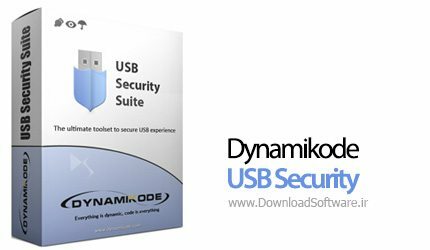 I was therefore really impressed with USB Security Suite by Dynamikode. USB Security Suite eliminates the risks from pen drives, external hard disks, memory card readers, etc. adding an additional layer of security to your PC. I really like the features of USB Security Suite. It is especially very user friendly and very functional. After installation, you can find it in your system tray. From here you can scan your USB drives or open the main window. Opening the application, you will see that you have a menu to the left of the USB Security Suite window. Currently I don’t have any removable drives plugged in. Plugging in my removable drive, the Autorun Remover springs into action and scans the drive for any suspicious files. The next tab is by far my favorite. USB Security Suite includes an activity logger. Now I can see all actions taken on my removable drive. I can also search the log and export it to a CSV or HTML file. USB Security Suite allows you to immunize your removable drive by preventing the creation of auto run files and filling up the available space with a dummy file (effectively prohibiting any additional files to be written to the drive). This means that you can plug your removable drive into an infected computer and not be affected (or infected). USB Security Suite allows you to lock your USB Ports. This feature is especially useful for corporate PC’s or public terminals for which you don’t want to allow use of the USB Ports. Even if you are enabling this feature on your personal computer, I’m sure you can understand the benefit of this. This prevents data theft, but still allowing you to easily enable or disable the usage of USB disks on your computer with a single click. Locking your USB ports don’t affect the use of your USB printer or scanner which I thought is a very nice feature. The settings tab of USB Security Suite allows you to enable or disable various options. Most notable is the password set function. Go ahead and set a password. Once you have configured USB Security Suite, you will be prompted for your password every time you open the app from the system tray. So even if someone did access your PC, they wouldn’t be able to access your removable drives without you knowing about it and (or) blocking that action. They would also not be able to open USB Security Suite to modify your settings. I then put USB Security Suite to the test. I created an autorun.inf file and put it on the removable drive I plugged in to my PC. USB security Suite picked this up immediately and asked me what I wanted to do with this file. As you can see from the settings above, this behavior can be modified to allow USB Security Suite to immediately remove all autorun files without prompting. Having a look at the Activity Logger, I saw that each event has been logged. I inserted the drive, removed it, copied the autorun file to it, inserted it and USB Security Suite removed the file. I then wanted to see what the Activity Logger would log if I copied over some sensitive files to my removable drive. USB Security Suite performed flawlessly, logging the files copied to the removable drive. You need to keep in mind that when USB Security Suite is running in the background, the user of the PC doesn’t see this screen. If you have password protected your installation of USB Security Suite, they will not even be able to open it. Chances are that they will not even know it is running. Being from South Africa I found it very welcoming to see the price of USB Security Suite in ZAR. It isn’t at all pricey and I recon that it is well worth the money (especially considering the ability to lock your USB ports). Obviously, the more licenses you buy, the cheaper it becomes per license. This application has many uses. I can see it being used to protect your personal data. If you are a business owner and suspect an employee of stealing sensitive company information (cough**nsa**cough), USB Security Suite will allow you to track what was copied on to or from a removable drive.